Self-service car wash stations are getting more popular. 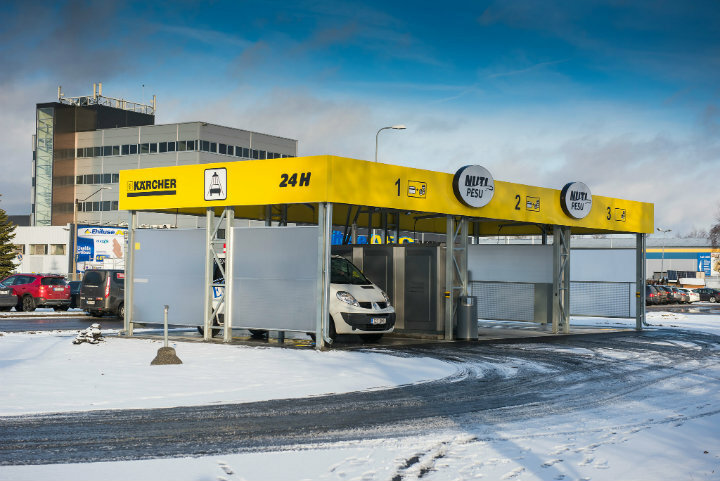 We have developed a card payment solution for Kärcher self-service car-wash station. In addition to a card payment, it is possible to connect the system to a server to get statistics about the payments and notifications when something is out of order. This self-service card payment solution can be customised for all washing stations.